Bro. Nilo Santiago at the Friday overnight worship service at Amoranto Stadium, October 2010. (This testimony is based on the accounts of Bro. Nilo Santiago and his co-pastoral workers who were with him when the accident happened). His body was ablazed, then it got caught in an electric cable. His burning body stiffly hung on the cable. His co-workers tried to remove him from there using the tip of the ladder, but he was stuck in the cable. When he reached the ground, he was still burning. He vomited blood and convulsed like a dying man. His co-workers were sure he was dead. But not losing faith, they gathered around him and prayed over him. Bro. Nilo came to life and tried to utter thanksgiving and praise to the Lord but no words came out of his lips. He motioned that he wanted to be brought back to the pastoral house (in Nueva Ecija). (His co-pastoral workers testified that the electric power in that whole barangay went out while Bro. Nilo hung in the cable, and so it was very dark. But Bro. Nilo insisted that he could sense a bright light around him while he was falling). Back in the pastoral house, his co-workers convinced him that they bring him to the hospital if only to have his wounds cleaned. (Bro. Nilo’s whole back, arms and thighs were severely burned. We were in the Gapan Crusade and I saw pictures of his wounds taken a few days after the accident happened. His back looked like skinned “longganiza”, raw and really bad). His co-workers managed to convince him to go to the hospital. (Bro. Nilo is a faithful servant and he wanted to trust in God to heal him). The first hospital that they went to didn’t want to admit him because his burns were really critical. They went to another hospital and there the doctors wanted to confine him and treat him. The doctors said that if he wasn’t treated, he could become paralyzed. But Bro. Nilo refused to be confined and only wanted his wounds to be cleaned. So after this they left. For three days, Bro. Nilo couldn’t sleep due to the excruciating pain from his wounds. (The only treatment he had was an anti-bacterial ointment that his co-pastoral workers applied on his burns). One night, while he was lying on his stomach, trying to sleep, he saw a very bright light coming from above and shining on him. While the light stayed on him, he felt something happening on his back. He knew then that the Lord Jesus was touching him and healing him. Bro. Nilo Santiago showing his healed burned back during the Gapan Crusade, November 2006. After this, the pain was completely gone and he felt strong and was able to walk. His wounds began to heal speedily. He resumed his painting jobs for the crusade (Bro. Nilo is a gifted artist). After two weeks, he obtained full recovery and testified during the crusade and showed his healed wounds. Bro. 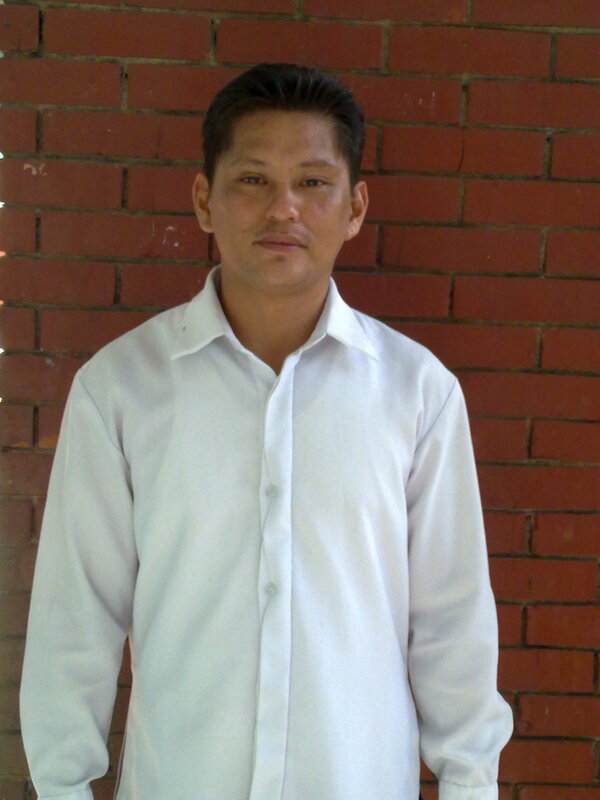 Nilo continues to serve the Lord ever so faithfully in JMCIM as a pastoral worker. 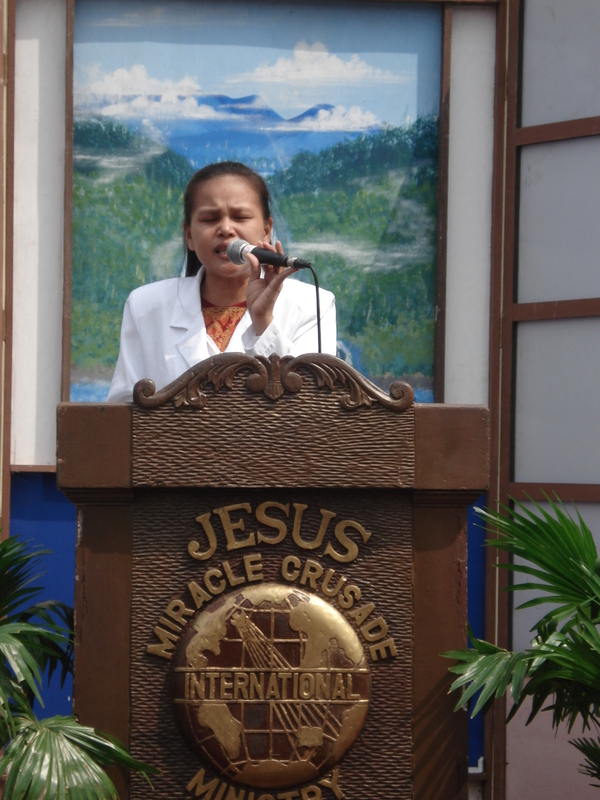 *(The crusade in Gapan City was in November 2006 – I can’t remember the exact dates now. The accident happened two weeks before the crusade).